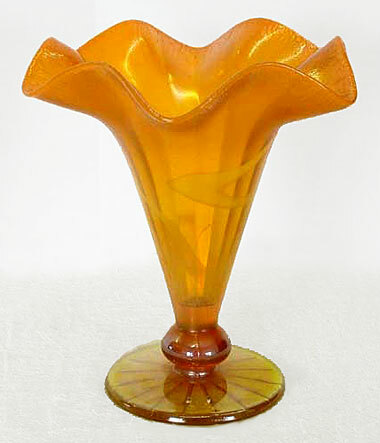 From Fenton's late 1920s production, this ruffled vase is also found without the ruffles in a trumpet shape. This 7 1/2 inch tangerine example sold in 2009 for $350. Note the opal swirl in the body.